The Engineering and Physical Sciences Research Council (EPSRC) have funded a 5-year project to develop a Smart Meter Research Portal (SMRP) to provide vital access to energy data for the UK research community. 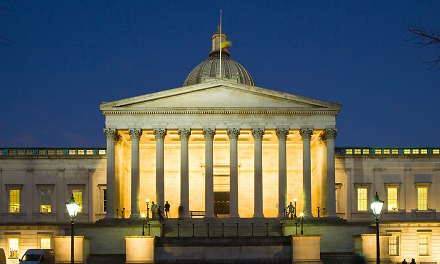 Led by UCL Energy Institute, the consortium consists of University of Essex (UK Data Archive/Service), University of Edinburgh, Cardiff University, Loughborough University, Leeds Beckett University, University of Southampton, The Energy Saving Trust. The Consortium Manager will develop and deliver operational planning, co-ordination of resources and delivery of processes associated with an EPSRC consortium. They will work in collaboration with the SMRP senior management team (SMT) and others to support and expand on the work of the consortium. The role holder is required to be educated to degree level or have commensurate experience in a related field. They will have experience of managing a research centre / consortium or have applicable transferable administrative skills to do so. They should be IT literate, possess excellent communication and interpersonal skills with the ability to relate to a wide variety of people from industry leaders, research councils and professional staff to students. Experience of using webpublishing software to produce documents for the web is desirable. A job description and person specification can be accessed here.